In May, 1882, the incoming Chief Secretary, Lord Frederick Cavendish, and the permanent Under Secretary for Ireland, lost their lives in the Phoenix Park. The following year the Invincibles were brought to trial charged with the "murder," and on the evidence of James Carey, four men were hanged in Kilmainham Jail. Carey was deported under an assumed name by the Government, to South Africa. Patrick O'Donnell travelled on the same boat, and shot the informer dead just before he landed at Port Elizabeth, on the 29th July. O'Donnell was arrested and brought back to England for trial. He was condemned and executed on December 10th, 1883. His name and fame were celebrated in many songs. and a popular ballad commencing: " Pat O'Donnell is my name, and I come from Donegal," was sung throughout the length and breadth of Ireland. The National Graves Association has recently marked the grave of Pat O’Donnell of Donegal, who shot the informer James Carey, who had been a leader of the Invincibles in Dublin in 1882. 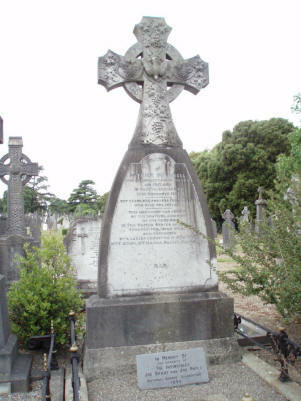 As the remains of O’Donnell, and also of Michael Barrett, the Fenian, (who was the last man to be publicly executed in England on 26 May 1868) were transferred from Newgate Gaol to a mass grave in the City of London Cemetery in 1902, it was not possible to locate and honour these patriots at their individual graves. The National Graves Association has erected bronze memorial plaques and white rose bushes to their memory close to their last resting place instead. Because of pressure on space, London cemeteries had begun to recycle older graves, which is standard practice in England. The National Graves Association is particularly pleased to announce that the City of London Cemetery, having been made aware by us of the historic significance of the Newgate burial, has decided to leave it undisturbed as a historic monument. The recently commissioned memorial to Pat O’Donnell was the result of voluntary fund-raising by the NGA, which is solely maintained by public contributions and the voluntary work of its dedicated committee members and representatives at home and abroad. Lengthy research was carried out by Charlie McLauchlan of Manchester and Eva O Cathaoir. Pat O’Donnell shot James Carey, a Dublin town councillor and Invincible leader. The Invincibles had killed Lord Frederick Cavendish, the new Dublin Castle chief secretary, and T.H. Burke, the permanent under secretary, in the Phoenix Park in May 1882.  The Invincibles were a small, breakaway group from the Fenian and Land League movements. In spite of official pressure, no informer could be found for a long time, until Carey, under interrogation, began to spill the beans on his associates and followers. In return for their convictions in 1883 (five Invincibles were hanged in Kilmainham Gaol) Carey and his family were given new identities, ‘Mr. and Mrs. Power and family’ and taken to South Africa on a circuitous route to avoid detection. But Carey talked and drew attention to himself. Contemporary newspapers also carried fine drawings of those executed and their betrayer and were seen by Irish people the world over. Pat O’Donnell had emigrated to the U.S. after the 1867 Fenian Rising, returned home on a pilgrimage to his native Donegal and decided to try his luck in the South African diamond fields. O’Donnell happened to be on the same small ship to Durban and Port Elizabeth to begin a new life, as chatty fellow Irishman ‘Mr. Power’. O’Donnell recognised Carey, a quarrel broke out and he shot Carey dead, who was buried in the prison graveyard of Port Elizabeth. Informers at the time were seen as the lowest of the low and went in fear of their lives. Carey’s family had lived in dread of the Fenian organisation’s punishment and believed O’Donnell had been delegated to track and kill James. The British authorities also believed this conspiracy theory and flew into a panic. The evidence is, however, unclear, and it may well have been a chance encounter. As O’Donnell would have received a sympathetic hearing in South Africa, he was brought to London and tried at the Old Bailey in late 1883. Despite Irish-American fund raising for legal support and considerable contemporary sympathy, which included the French novelist Victor Hugo pleading his cause, Patrick O’Donnell was sentenced to hang in Newgate on 17 December 1883. This grim, dark prison had been scheduled for demolition and stood empty and decaying. Only prisoners for trial at the Old Bailey and those on death row were still held there. O’Donnell was buried under the stone flagged Birdcage Walk, probably London’s most macabre cemetery. The dead were stripped of their clothes and the coffins filled to the top with quick lime to speed up decomposition in limited space in the heart of the city of London. In a Christian country, this was the ultimate humiliation. In 1902 this Bastille of the British prison system was demolished, the remains were taken out for reburial early in the morning to avoid public notice. 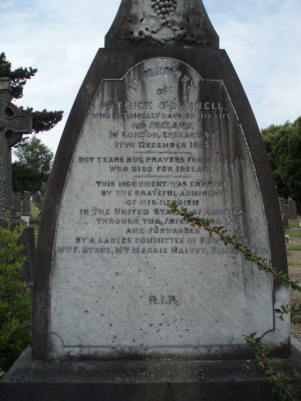 At this stage it was still possible to identify and bring O’Donnell home to Glasnevin or Gweedore, where handsome monuments honour his memory to the present day. However, nothing was done until the NGA located and commemorated him in the City of London Cemetery.